Our #1 Priority Is Your Safety. Cincinnati’s Fire, CCTV, and Security service provider. 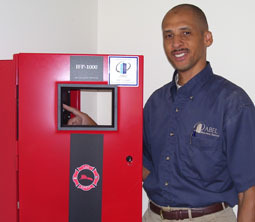 ABEL Building Systems provides top-level fire alarm systems, security systems, camera CCTV systems, card reader access control systems, and central station / remote monitoring. Since 2000, we’ve designed, integrated, and provided central station monitoring, service and inspections for commercial and property management clients including high-rises, educational institutions, hospitals, churches, and retail stores, correctional facilities and more. We are committed to providing new technology with old fashioned values. ABEL Building Systems Designs, Installs, and Services Emergency Responder Radio Repeaters. Don’t wait. Get Protected Today.